The following post was written by co-founder Emma LaVecchia. Snow, snow, snow. It has all become the norm and honestly, I’m tired of talking about it. Hearing about it. Just it in general. Having a day without snowfall now feels like we should all break into our happy dance and thank Mother Nature for going easy on us! That Einstein fellow sure had it figured out with his theory of relativity. Thankfully, social media helps. Parents everywhere can commiserate! They’ve turned to Facebook, Twitter and Instagram to capture and post those hysterical, memorable (and regrettable) moments as a way to share and “let it all go” hoping to cope and drag some humor out of this whole outrageous situation. Personally, I love seeing these photos! I love reading about the moments, hearing about the kids. All of the photos, posts and rants take me right back! I have three boys. Sometimes I forget that I did that. 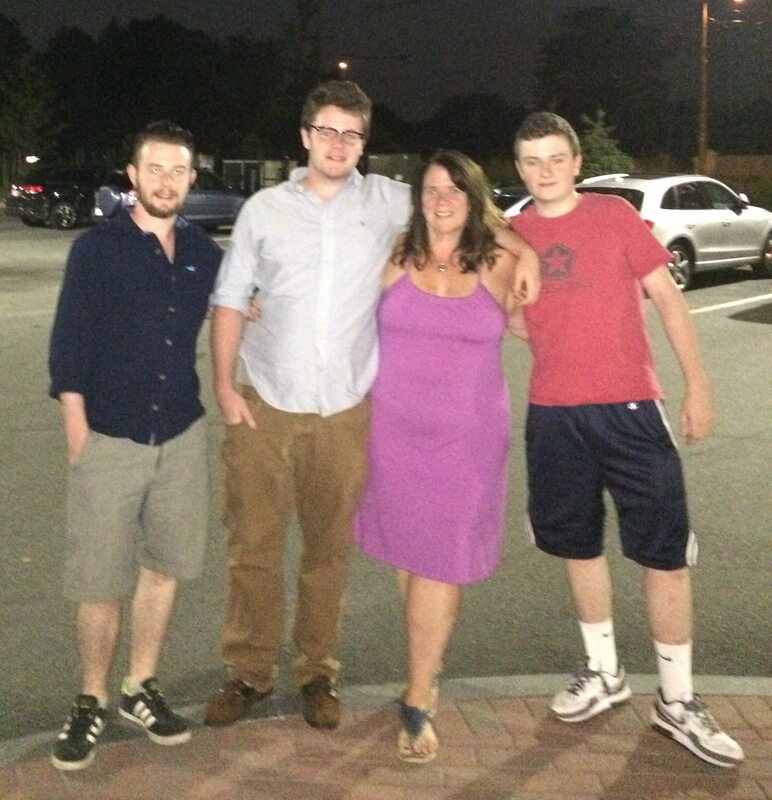 I raised three boys who were all born within five years. I did it while working, running a household and starting this business. I forget because, honestly, I think I blocked it all out. It was too much. And when I sit and listen to my co-workers and friends talk about their here and now, I remember again. I remember the exhaustion, the frustration and the fear of thinking I can’t handle one more thing coming my way. But then it does, and you do handle it, and it passes. And your kids are okay (hopefully without too much emotional damage), and work goes on, and life goes on and nothing (major) really falls apart. But in that moment…..oh, how hard it is. And oh, how difficult—if not impossible—it is to know this. Way back in the early 90’s we barely had cell phones, never mind cell phones that took pictures! But we did have digital cameras and real film cameras. And the picture above is an image I recently found that helped me to remember. My three boys—who are most likely naked under that blanket, playing with Bulldozer our guinea pig (my fourth child). There may be three feet of snow on the ground outside, maybe five minutes before this moment that blanket was a magic carpet Bulldozer used to careen down the stairs, through the kitchen landing in the bathtub….I don’t remember. But I do know that that moment is marked history, and we made it through. And it’s good to remember. Because maybe my role today is to say “it’s just a moment”; and as hard as it seems, soon it will be a part of your story. A part that you have captured and saved in some form so you can look back when you realize that maybe you blocked it all out too. 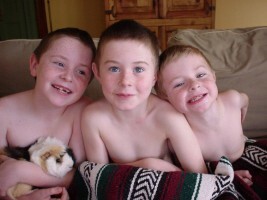 My boys are off now, happily independent (for the most part), and probably won’t be naked and sharing blankets again. In a blink of an eye, or what seems like a blink when you look back at it all, the moments that drove you nuts, scared you to death and challenged you to your core have passed. And you did it. And you can remember how strong and brave and young you were. This made me tear up. You’re not surprised, are you, Emma?! And P.S., I just bought a bottle of Calgon last week. Didn’t know they still made it, LOL.